With the spectacular bowling of Rashid Khan and the powerful batting of Samiullah Shenwari and Mohammad Nabi, Afghanistan defeated Bangladesh by six wickets in the second match of the three T20 Internationals series. Bangladesh decided to bat first before winning the toss. His batsmen did not play openly in front of Afghan spinners and the team could score only 134 runs in 8 overs in 20 overs. In response to the target of 135 runs, Afghanistan made a quick start. wicketkeeper Mohammad Shahzad and Usman Ghani added 38 runs in 5.4 overs for the first wicket. Shahzad got LBW by the left-arm fast bowler Abu Haider. He scored 24 runs off 18 balls. During his innings, he scored 4 fours and a six. Earlier, in the ICC T20 ranking, the world’s top bowler Rashid Khan took four wickets in his four overs spell and conceded just 12 runs. This spectacular bowling halted Bangladesh by 134 runs for 8 wickets. Mohammed Nabi also had two successes. Opener Tamim Iqbal, who had scored 43 runs in 48 balls with the help of five boundaries, could only fight against Afghanistan Bowlers. In the last over, Abu Haider quickly scored 21 runs (not out) and brought the team to a respectable score. After this series, Team has to play their inaugural Test against India, which was announced back in January. 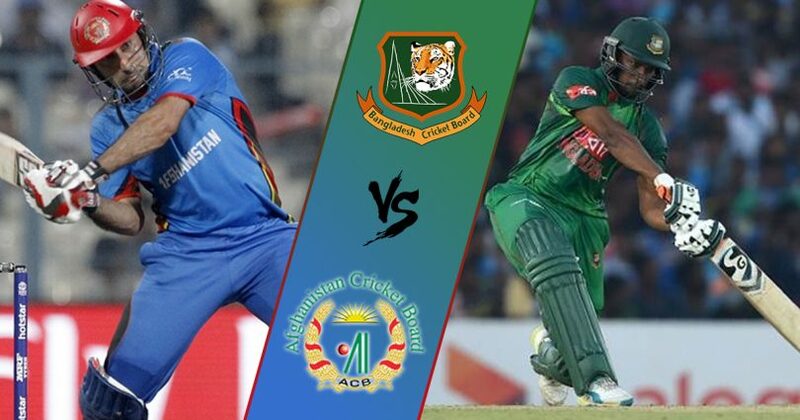 Bangladesh would concern about their pace duo of Abul Hasan and Abu Jayed, who were dealt severely by the Afghanistan batsmen with 74 runs coming off 6 overs and released the pressure over Afghanistan Batsman. Bangladesh decided to bat first by winning the toss, left-arm fast bowler Shapoor Jadharan (one wicket in 42) got opener Lt. Das (01) in the second over of the match. Tamim Iqbal kept one end but Shabbir Rahman (13) and wicketkeeper Mushfiqur Rahman (22) could not make much contribution from the other end.